The transfer window has been open for a good while now and we’re nearing the final month of the transfer window. Aston Villa have successfully signed 6 players. 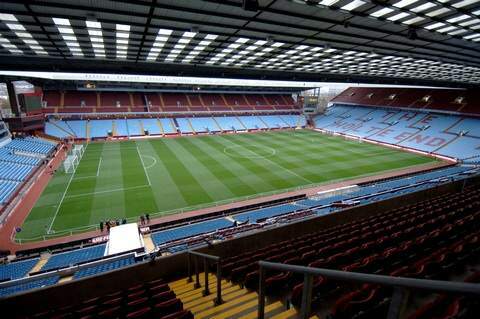 Lambert and Aston Villa would like to sign one or two more faces to add to the team, however Aston Villa must first sell half a dozen of players. Lambert has made it no secret which players he’d like to sell. Aston Villa released the squad numbers for this season and fans were quick to notice that many players from the ‘bomb squad’ where given the highest numbers. This is an indication of the players that Aston Villa want to sell. That’s 7 players that Aston Villa want to sell, we’ve only sold 1 player this season. Brett Holman is gone, but the rest; it’s going to be a struggle to sell. Bannan is talking to Blackburn, guess what, wages are a stumbling block. Hutton to Mallorca is probably not going to happen, why? Wages. Bent is being linked with both Fulham and Newcastle, but we are still waiting for Villa to accept a bid. I think that Villa should try a new strategy. Perhaps recommend these players to foreign clubs? Germany, Spain, Europe anywhere. I remember Owen’s agent created a report of his skills, why can’t their agents do the same? For all we know, it’s already happened. But, if a player wants to leave, why can’t their agent work really hard on getting a move. Surely if you’re a footballer you want to play and be willing to take a wage cut? Money in my opinion corrupts minds, if someone’s an athlete surely they want to play a sport and not just play for a paycheck? People’s minds are turned by a man-made invention. But, it’s the world we live in. Hopefully Aston Villa can push these players out, I think that these players could find clubs outside of England. Not sure if they’d take a pay-cut but we have got to try. I can’t see any of these players playing for Aston Villa again. Mind you, that’s what you get when you alienate players and make it public in the way that we have. I’ve never been convinced it’s a good solution. That’s why clubs come in offering peanuts for Bent. He’s £8 Mill class all day long, imo and selling to the likes of Newcastle and Fulham dirt cheap could seriously bite us in the arse if things don’t go as well as some of us think in the coming season. Didn’t Fulham already have a 4m offer rejected? I would doubt Newcastle are offering 2m for him if that was true. Nice to see we’re banging some goals in and looking good, albeit against poor opposition (no disrepect to Walsall, I like the club). I heard someone’s opinion today that said Dunne and Collins hated each other and often fought. It apparently came from an ex Villa player. Can anyone else confirm they’d heard that one?, as it’s new on me. I don’t think the “bomb squad” cares about the club enough to make them look ridiculous, they just believe they’re better than what’s been offered for them. 2 Championship clubs and a Segunda Divsion club. They believe they’re top flight talents and want to move to one and get paid as one. I believe Bent would take a drop in wages in exchange for regular footy, but you can’t blame him if he doesn’t want to drop too much. His impending departure could be his last deal at good money (same with Hutton). Bannan though, should be willing to take more of a drop, especially if he believes in himself, as he has plenty of time to re-establish himself. Ireland, I can’t see anything other than us paying his contract off and I’m thoroughly disappointed in that piece of business. Totally disastrous signing however you look at it and I’d love to know who it was really down too. I still believe there’s a great player in there somewhere, but we all know he never wanted to come to the Villa in the first place. Paul Lambert, a special one. Sign him up randy. Really don t know why we don’t attempt swap deals . All the other teams do it to offload unwanted players, if Stoke want Ireland offer him for Shawcross or Huth. If Newcastle or Fulham want Bent then ask for Collocini or Cabaye or even one of Fulhams best ( not sure apart from Berba or Frei ). My point is that we should exhaust all options in getting these players away from Villa. We should Identify players we want and offer players who we don’t want. It’s obviously not as simple as this but it is an option none the less.